The school’s award system at Reedy High School, called TopCats, exists to honor and recognize hard-working Lions in the student body. Every six weeks, the TopCat committee nominates two students for every category of the school’s character traits: perseverance, innovation, integrity, service, and community. Reedy has been open for four years, so several students have been recognized for this award. Some students have been recognized multiple times even in the same category. In a school of 1800, aren’t there enough deserving students for no student to repeated for the TopCat award? Because of these unfortunate circumstances, the student opinion has turned against the TopCat system with some students even feeling apathetic towards it. There is currently an average of six students repeated each school year. Statistically, the repeats are occurring more and more often, with this school year having the most repeats. Mr. Evan Speice, chairman of the TopCat committee, notes that this is his, “first year of running the TopCat’s system, so [he] can’t speak for what has happened in previous years.” The chairman position changes every year within the committee and the previous chairman trains the new chairman each year for the upcoming role. Because of this frequent change of leadership, who then is in charge of keeping track of previous TopCat winners? This then prompts questioning of how the current system works if there is no accountability for keeping track of previous TopCats. “TopCats are chosen through a nomination process where each department is assigned a six weeks. The teachers receive an email to nominate two students per category, and the committee reviews the nominations and send out a google form to the entire staff to approve it. The students who received the most votes that year will get the TopCat award,” Speice said. However, it has not been four years between repeats. Most of the students won TopCats consecutively between years. While some members of the TopCat committee may feel that the policy should not be changed, no change could lead to even more apathy from the student body. Mr. Max Smith, a new assistant principal to Reedy and a member of the TopCat committee, wants to ensure the fairness of this system in the future. 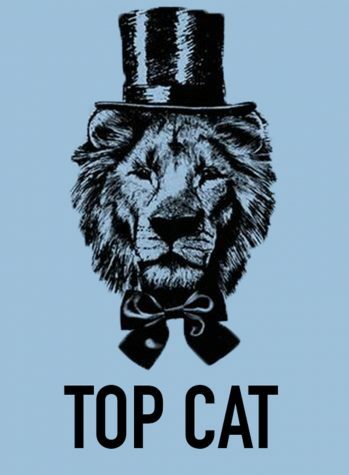 Changes may be made as the TopCat committee meets again at the end of the school year. If the committee cannot find other deserving recipients besides those who have currently won, then the more important question is: should we reflect on the character and morale of today’s youth? Stoked or Stumped About Summer?